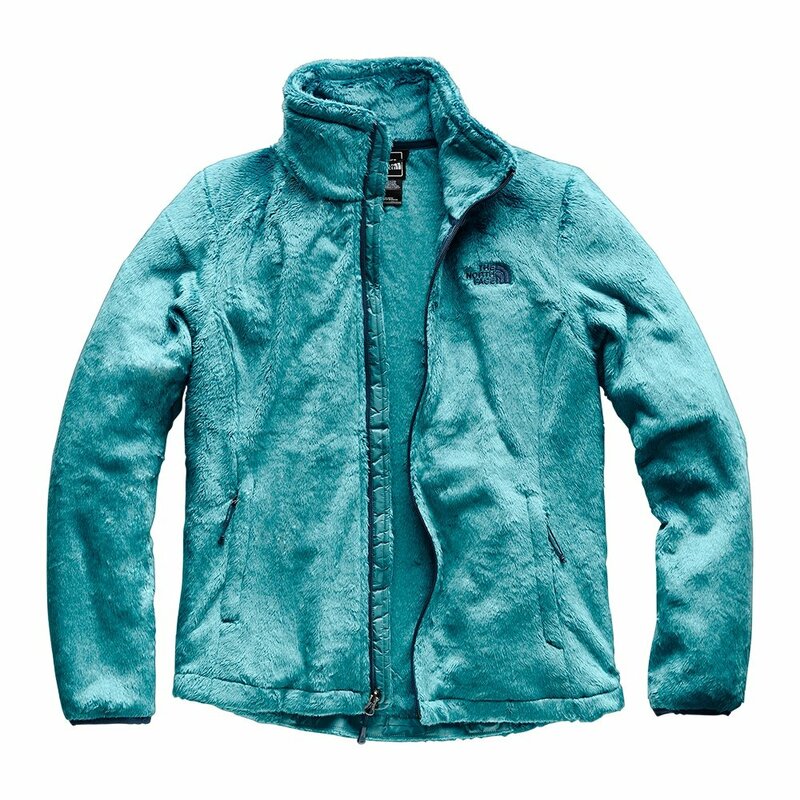 The North Face Osito 2 Fleece Jacket is one of the softest jackets you'll ever feel. Made with plush silken fleece, the Osito 2 feels ultra cozy and comfy next to skin. This year, The North Face updated the Osito Jacket with a better, more flattering fit. It stretches a little for comfortable movement, and the hem cinches closed to keep out cold air. "Is this coat rated for -25 c weather ice snow and rain." "No it is not. This is a softshell fleece jacket. It is not waterproof so would not be a good choice to wear alone in snow, ice or rain. You would use this as a layering piece underneath a proper winter jacket." "why do you not have the color asphalt gray listed and can you get a medium for me?" "Unfortunately, we do not have the asphalt gray color on order or in stock. Check out this page to see all of the gray fleece jackets that we do have in stock in size medium." Let me just say that this is my THIRD purchase of the Osito jacket. Not because my others have worn out, but because the quality of this jacket is unbeatable. Seriously, the price is worth the investment! When it was cold, I was able to wear only a tee shirt under this jacket and not feel a thing! It is so warm and comfy! I do not write reviews very often, but I felt compelled to write this one. I have not experienced any shedding or shrinkage after washing. I am 5'8, 160 lbs, 36in bust. I ordered a large and it fits perfectly. If you're thinking about getting this jacket, go ahead and get it. You will not regret it. What you will get is people wanting to touch your jacket because it is so soft! Great for everyday! Super warm and comfortable. I have had the jacket 1 month and 1 week and the sleeve cuffs are coming unsewn! There is hole now my pinky gets stuck in. Usually North Faces craftsmanship is better. The worse part is that I have to pay to ship the jacket back to have it repaired since it is just past the store return date. I will also be without the jacket at the coldest part of the year. It also sheds slightly but that doesn't bother me too much. This was my favorite jacket. Not so much anymore. The image colors were confusing, so I contacted TNF for assistance to confirm that I was selecting the correct jacket color. What I received is not what I was told - incorrect color. Upon contacting TNF I was told that I was confused and that the product descriptions were correct. Apparently, contacting customer service for assistance is a wast of time - to be told two different things by two different representatives is an issue TNF may want to correct. I am returning for a full refund and have intention of repurchasing from TNF. I have wanted a North Face jacket for years. Just purchased this one today and wore it out of the store. It fits well and works very well in windy, cold conditions! This was a great investment. I love this Fleece for being outdoors and camping with friends. I recently purchased my second Osito. The first one shed so much I threw it out because I was tired of picking it off of my clothes. Ordered another hoping it was a fluke and the exact same thing is happening. Fuzz all over my clothes. All over my seatbelt. Very frustrating when you expect something better from TNF. I purchase the Osito fleece last year and although I love the fleece, the shedding is worst than a big hairy dog. I read all your ratings, and some people get a fuzz ball and some say it doesn't shed at all. What's the deal? My fleece is from the Fall 2016 collection and I purchased it last year. It's a beautiful lime green color, but when I wear it, I am covered in lime green fuzz. I purchased the Gray Breast Cancer Osito 2 jacket today and I just love it! It is beautiful and so soft! I love all of my North Face gear I have! These are so pretty brand new but when you wash them they never look the same. I won't spend the money on them anymore, sale or no sale. I just bought this jacket last week and during the first use I noticed it left fuzzies all over my seatbelt when I was driving. Over the week I have worn it about two more times and it sheds like crazy. I wore a crossbody bag over this and the strap was covered in lint. It's in my car and on my clothes underneath. I have yet to wash it for fear of what it might unleash upon my laundry machine. Surprisingly, if I try to lint roll it nothing comes off. This is my first Osito jacket, and honestly it is super soft and warm but I expected better quality from Northface. I will defiantly shop here again! Perfect fit! I am 5'4 131lbs and a medium fit perfectly. Contrary to popular belief the coat does not shed. Will but again! I use the coat frequently and it has shed pink fibers all over all my clothes and car. I walk around with pink dots from the coat. I have washed it several times and put a lint brush over it and still no improvement. I have contacted customer service 2x and they have never responded. I've bought several North Face jackets and this is the first time this has happened. So soft and warm... MY FAVORTIE zip up! so sad there is no longer black available. maybe next year. This jacket would be perfect if it wasn't for the shedding. I have one in black and one in hot pink. The hot pink gets pink fuzz on everything! My clothing, car, seatbelt, etc. Washing it hasn't helped either. I like everything else about this jacket except the shedding. Sleeves too short and too much shedding! I like this fleece, but if it weren't for the comfort and wearability I would be rating it lower. My biggest issue is that the sleeves are too short. When I sit down they rise to almost three quarter sleeves and a lot of my wrist is exposed, so this isn't a good thing when trying to keep warm during these cold months...an added extra two inches would be best. On to the shedding...this fleece sheds fuzzies like crazy. I have run it through the washer and dryer twice now. Overall I love the fleece, but there are these couple things that definitely make it a little less likely I will purchase another. This is the fourth North Face I have bought, and I have never had a problem. I wasn't even aware this could be a problem until I started searching for solutions. Fuzz, on every shirt my daughter owns. They are covered in fuzzballs that I have to hand pick off every time she wears it, which is every day. I am beyond frustrated with it. I am going to wash it again and pray that it helps. I will definitely be talking her into something different next time. For this price point for a jacket, this should not be a problem. This jacket fits great and isn't cozy and warm. My favorite jacket.